Throughout my practice in the field of photography, video, sound, spatial installations, and curating, I find myself in a constant search for evasive moments of encounter. Moments of in-betweenness, which is at times beyond the reach of language, in which a clearing (Lichtung) could open, and an aura might appear. Photography and video were always my main modes of expression and thought. During my film studies at the Camera Obscura School of the Arts, and in a way already in my high school’s film department, I started to feel detached from the world of photography and video, caused mostly by our ever-feeding, flattening, image based reality. That encouraged me to study in the Interdisciplinary Honors Program at Tel Aviv University, in which I double-majored in The Multidisciplinary Programs of the Humanities and the Arts. In those years I was exposed to a wide spectrum of thought, from philosophy and psychoanalysis to art history, film studies and critical theory. I began to venture into the realm of spatial installation, trying to bypass the elsewhere and later qualities of the photographic image and forces a here and now moment. This thought evolved and developed significantly during my bachelor theses research of the video installations of Eija Liisa Ahtila and the thoughts of Martin Heidegger. The nature of video and the photographic undermines the authority that is associated with the here and now, and opens the aesthetic space in a schizoid, non-hierarchy, fragmented, potentially democratic fashion. 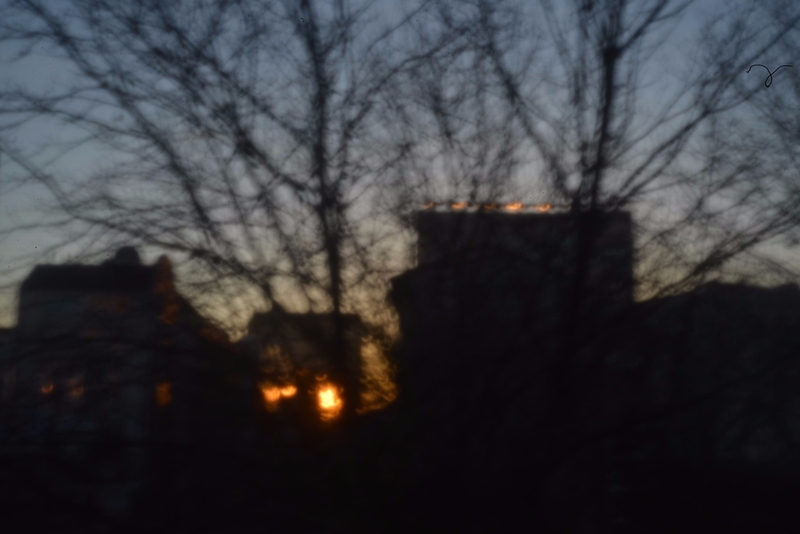 Since moving to Berlin a year and a half ago, I have reconnected with the camera and the two-dimensional world through my research of Walter Benjamin’s writings, which developed into a project called “Zweibahnstraße”. In an attempt to mimic the point of view of the Angelus Novus, I converted my DSLR into a lensless camera. This perspective guides my wandering through the city within the ruins and fragments of history, attempting to turn the (ethical) gaze back to the forgotten (or, to a forgotten), to open a crack into what was, a caesura in the everydayness, while Remembering Forward. I constantly find myself migrating back and forth between the academic world of critical thought and my own art by attempting to read, express, and expand ideas I am encountering with my works, as images of thought.